The Raspberry Pi Foundation on Monday announced a pair of new camera accessories for its popular single-board computers. The foundation launched its 5-megapixel visible-light camera board as its first official accessory back in 2013. It was followed shortly after by an infrared-sensitive version, both of which were based on an OmniVision OV5647 sensor. In a blog post, founder Eben Upton recounts how his partners purchased a large stockpile of cameras (likely in order to drive costs down). Those sensors reached end-of-life status in late 2014 but are just now selling out, spurring Upton to find a replacement. The foundation was able to strike up a deal with Sony for its IMX219, an 8-megapixel image sensor that he says is far more than just a resolution upgrade – it’s a leap forward in image quality, color fidelity and low-light performance. It offers a maximum still image resolution of up to 3,280 x 2,464 and can capture 1080p video at 30 frames per second or 720p footage at 60 fps. The Raspberry Pi founder credited Naush Patuck with tuning the sensor to work with the VideoCore IV GPU. Patuck said the bulk of his effort went into the lens shading and auto white balance (AWB) tuning. 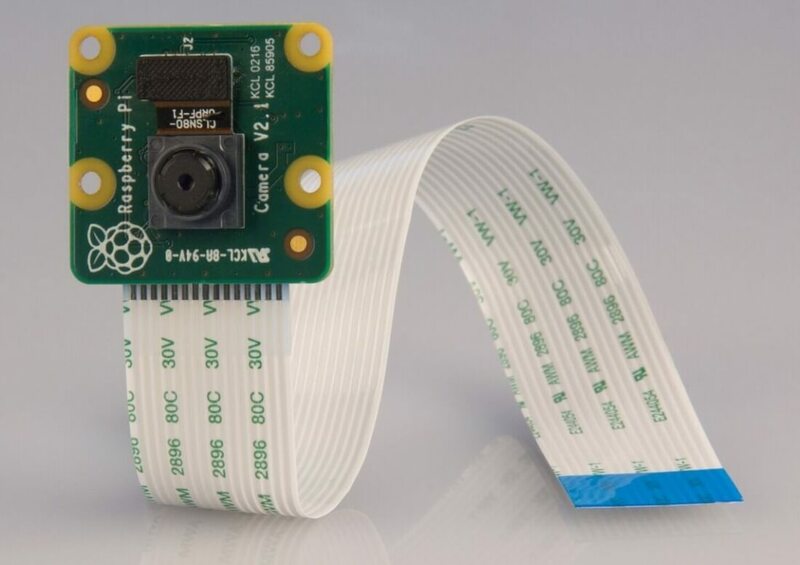 Both visible-light and infrared-sensitive versions of the new camera board are available for purchase as of writing from Raspberry Pi partners element14 and RS Components. Best yet, they’re priced at the same $25 as the original.